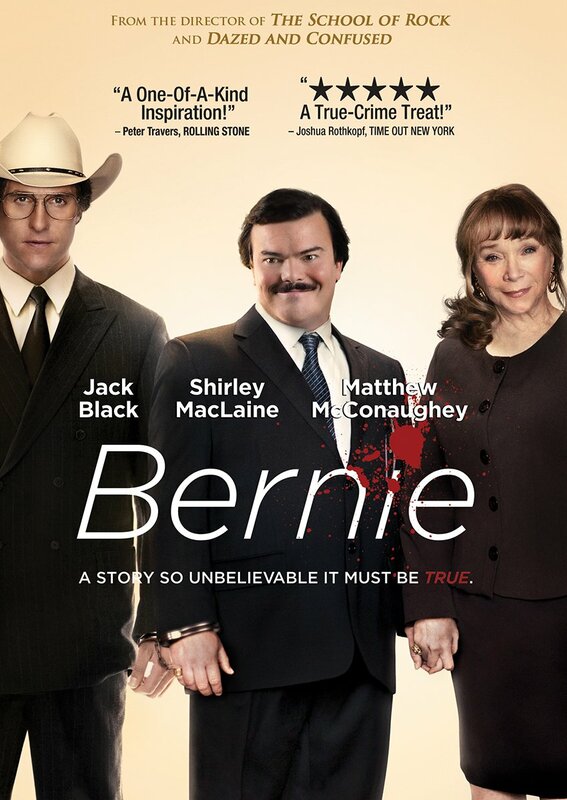 If there’s one strength to “Bernie,” it would be keeping the reveal that everything which unfolded was based on a true story until the end of the film, as we see the real Bernie Tiede sitting down to a conversation with star-Jack Black. I was blown away to find out that everything I had just witnessed occurred in real life, and Richard Linklater decided not to gloat about that until the film was finished. Part of this is because these events seem so unbelievable – a story about the sweetest and most-caring man you’ll ever meet, Bernie (Black), attempting to comfort a rich-widow (Shirley MacLaine), and the two end up being great friends, to the point that she smothers him and makes it impossible for Bernie to have a life of his own. Being unable to say no to anyone, Bernie ends up taking far more drastic measures than one would expect. I guess I shouldn’t have been surprised that “Bernie” was based on true events, due to the many interviews throughout the film. We spend close to half the film talking to the locals of Carthage, Texas, as they gush about how Bernie was an outstanding citizen who put the needs of everyone above his own, how he was the best thing that happened to the town and that he’d even make God blush. I was under the impression that these people were merely actors, since many of the descriptive details they would use had hilarious timing. Turns out, everyone they interviewed were the actual townsfolk of Carthage, recalling their best memories of the real Bernie. Again, if the film had opened up with the knowledge this was based on what really happened, the film would be very different. If we were told at the beginning, we would have no room to think about what was happening, because everything already had a fixed ending. By keeping that knowledge away from us until the film was finished, we suddenly have to look back on everything we witnessed, everything we were told, and realize those were many points-of-view and opinions coming together to form some sort of truth. In other words, we find out the fiction we just watched is actually reality. It’s a very interesting story worth telling, even if the narration is a little disjointed. Nice review.